This year, the 24th China International Furniture Expo (better known as Furniture China 2018) and its concurrent event – Maison Shanghai 2018 successfully concluded on 14 September in Pudong, Shanghai. During the four-day exhibition, the two shows presented thousands of furniture products and home decorations with around 3,500 exhibitors in SNIEC and SWEECC, reaching a higher standard of visitor engagement, exhibitor satisfaction and customer experience. The post-show statistics show a positive result of growth on the number of international visitors. Visitor entry counting from all gates break 166,479 in total during the whole exhibition period, both fairs together hosting buyers and visitors from 132 countries and regions, who are mainly from United States, Australia, Malaysia, India, South Korea, Japan, United Kingdom, Thailand, Singapore, Canada and etc. General engagement of visitor on-site attendance is very much satisfactory with 9.82% increase this year and overseas visitors shows an increase of 23.87% compared with last year. The raising visitor performance has considerably reflected an extraordinary good year for Furniture China and Maison Shanghai. From upstream to downstream, the two platforms have both greatly stimulated furniture market, and have facilitated trade and business for the industry. 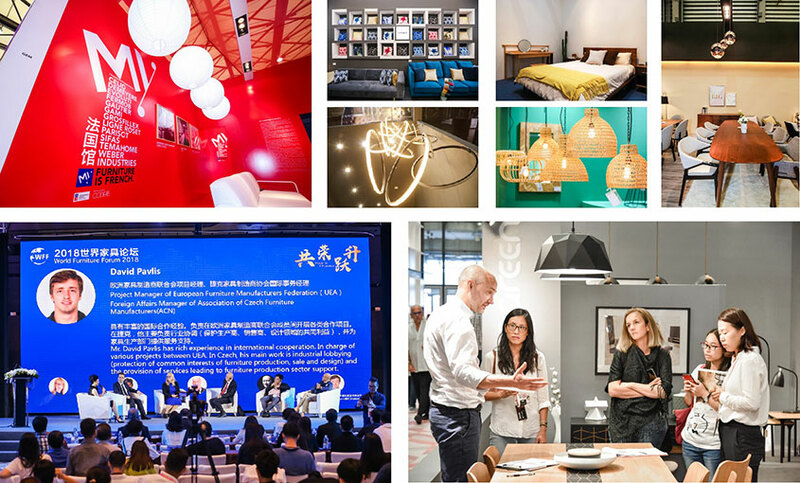 Annually in September, it’s an ideal real-time interactive business center gathering global suppliers and buyers at Furniture China and Maison Shanghai in Shanghai (Pudong) to build up connections, communications and contract order of high efficiency. Internationality are the goal for Chinese furniture market, and also a firm topic for Furniture China to discuss and practice. In 2018, more international brands came to the exhibition and new international forums were held to lift the industrial proposal. Hall E1 & E2 showcased global vision of the industry with 220 exhibitors from 24 countries. International pavilions from France, Belgium, Italy, South Korea, Turkey, and Malaysia also filled in the venues with various materials and designs according to different cultural backgrounds and explained the possibility of living attitudes. GEM from France exhibited with 12 associated members which presented a variety of French-made furniture category, from kid’s furniture to outdoor furniture, and delivered its value of “My Furniture is French” to mark the willingness for business and culture interchanges with the world. BelgoFurn from Belgium also introduced 5 member companies exhibiting onsite, and reinforced their market goal for more high-quality cooperation with Chinese market. Mr. David Pavlis, Project Manager of European Furniture Manufacturers Federation (UEA), Foreign Affairs Manager of Association of Czech Furniture Manufacturers. The International Alliance of Furnishing Publications (IAFP) and its members from 10 countries also set a forum at Furniture China 2018. IAFP Forum followed the theme of “International perspectives, global opportunities” to discuss current situation and dynamics in the furniture industry of its home country, in terms of production, exports, imports, business activities, retail landscape, market segmentation, etc. Among all the product categories, design brands and contemporary furniture brands were of a great popularity. Design Halls exhibited the largest number of exhibitors in the history with ever-growing quality. In 2018, Hall E5 was especially rearranged as the Contemporary Design Hall. Together with Hall E6 & E7, Design Halls were expanded not only to include more international designs, but also stimulated the domestic design originality onto a higher level and wider acknowledgement. 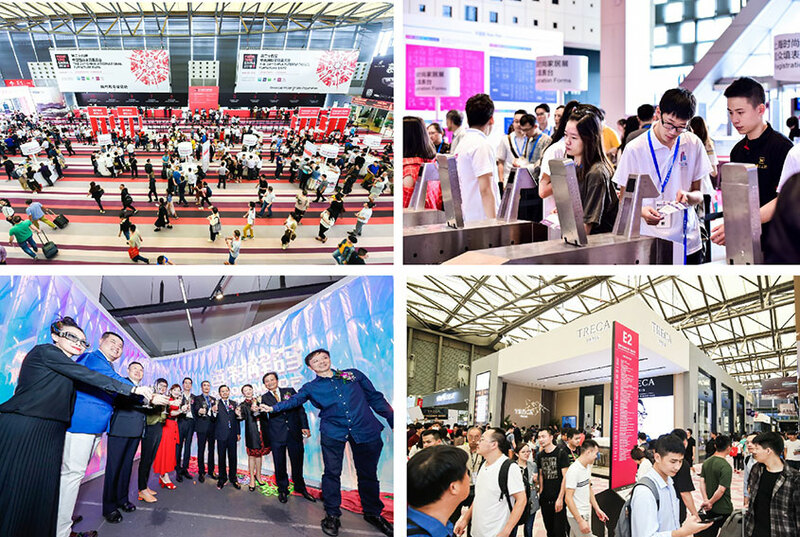 87 exhibitors from Guangdong, Beijing, Shanghai, Zhejiang, Jiangsu, Shandong, Fujian, Tianjin and Chongqing took Hall E6 and E7 for their showcasing, among which the top three regions of Guangzhou, Beijing and Shanghai all marked the prompt development of design industry in China. With onsite events of COLOR OF FURNITURE and “Design Fabric”, the entire E Halls have set up a dynamic stage for designers and their fabulous works to meet the market demands and create their unique value. On discussion of furniture design, sector “Design China” of Maison Shanghai had a prompt lifting in this year too. Exhibitors of “Design China” section presented an organic combination of design and function such as painted gaming equipment and glass fireplace, which enlarged both product category and industrial recognition on interior design. Two themed sections of Creation of Creators (abbr. COC) and Design of Designers (abbr. DOD) together explored the possibility of design industry in its future, thus made a remarkable contribution to the industrial chain. Exhibitors of contemporary furniture accounted for about one-third of exhibitors at Furniture China 2018. With many new brands participated this year, the contemporary furniture section covers over 46,000 sqm space. Contemporary Hall shaped a strong platform for all suppliers and buyers who are doing business with import and export market. On the focus of high-end furniture manufacturing, Furniture Manufacture & Supply China 2018 (FMC 2018) and FMC Premium 2018 (FMP 2018) gathered more than 200 suppliers of a wide range from raw material, leather, textile and hardware, to timber finishing, upholstered components and chemical engineering. American Hardwood Export Council (known as AHEC) exhibited with American red oak furniture and its new design principals; Swedish Wood and its 10 members exhibited with red pine and spruce as manufacturing materials. Along with all other 720 exhibitors and four professional media of FMC&FMP, the two councils conveyed the concept of recyclable green material, which touched the true objet of leading technics as well as one direction for high-end manufacturing. Besides, “Design Fabric” occupied 30% of exhibition area and suggested three pavilions and more than 15 exhibitors from domestic and oversea, showcasing the improving variety of practical mattress fabric and upholstered components. Aiming at the pain points of Chinese furniture industry, FMC and FMP looked into a deeper cooperation for industrial chain, and further provide effective solutions for the consuming market demands for high-end manufacturing. The theme exhibition “COLOR OF FURNITURE” enjoyed a significant fame for not only its gorgeous scenarios but a series of color schemes with which it identified the social identities with life attitudes, and further engaged all its visitors into this immersive and interactive experience. Besides the trendy color releasing, its theme forum “Decoding of Colors” featuring Professor Song Jianming, Lu Tao and Di Yin as well as other color experts, gave inspirations of color application in furniture design. 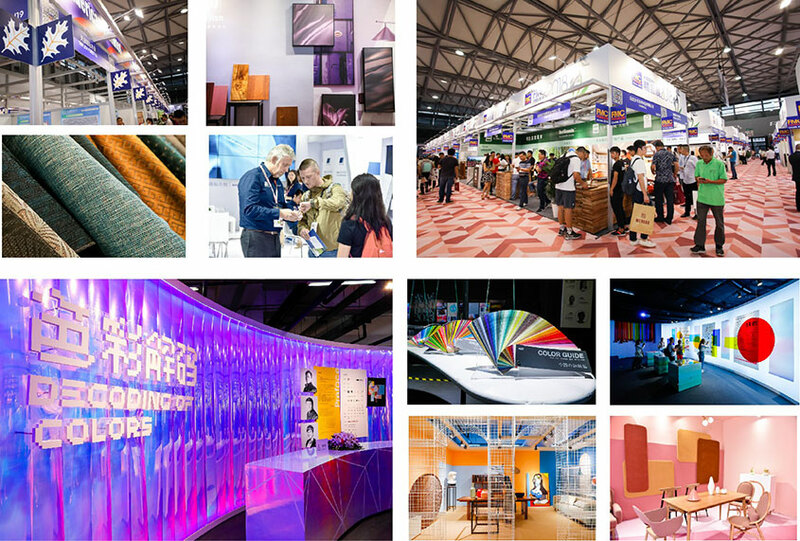 The main topics were focused on “Global Design Trend Analysis Focusing on Color & Materials” and “Asia Color Trend Book 2019”, which read the understanding of color application and further to generate a specific report for color scheme in the interior design solution. As for the Gold Idea Design Awards, there were 10 amazing products winning out of over 450 candidates; five companies and associations won the prize for their contributions to the industry. Besides, China Furniture Product Innovation Awards, Modern Attitude Awards and Green Construction Awards also gave honor to exhibitors for great design products and eco-friendly materials used for booth construction. Ten-year Exhibitor Award was granted to 40 frequent participating exhibitors who were new to this honor list. All over the years, there’re 24 exhibitors had already been with Furniture China for fifteen years since their first participation.